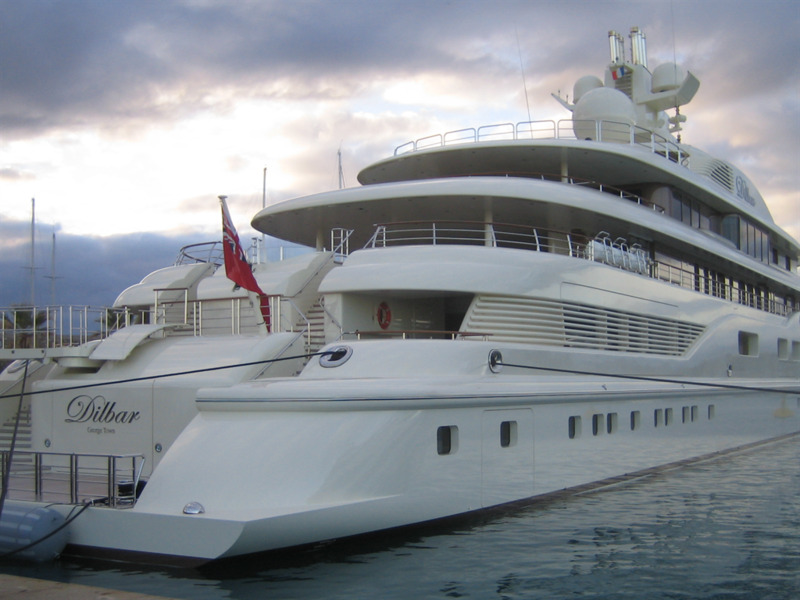 Many superyachts cost upwards of R2,3 billion ($200 million) and are owned by the wealthiest billionaires in the world. The most expensive yacht ever built is made from solid gold, and costs a whopping R57,5 billion ($4.8 billion). The yachts have features like movie theaters, concert halls, and multiple swimming pools. 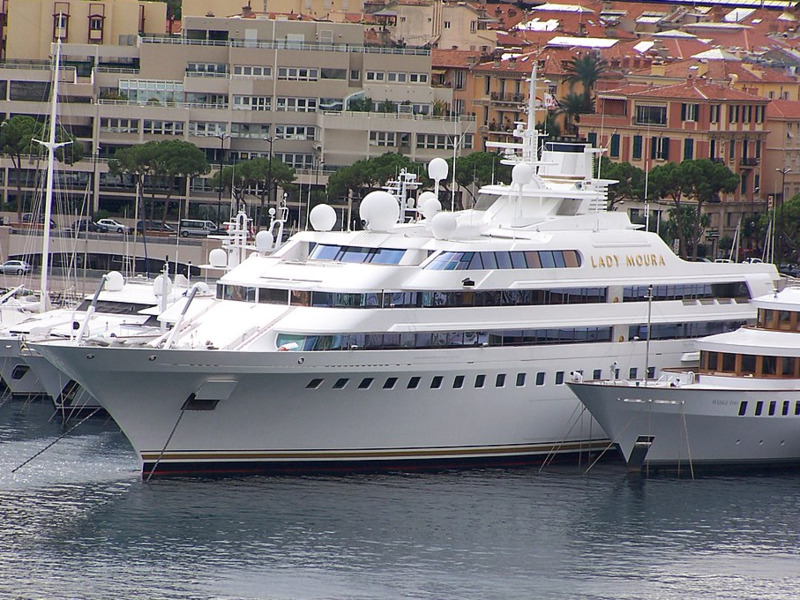 Some of the world's wealthiest individuals own the most outlandish yachts. With features like helipads, swimming pools, saunas, hot tubs, and more, the most expensive yachts in the world are the definition of luxury. 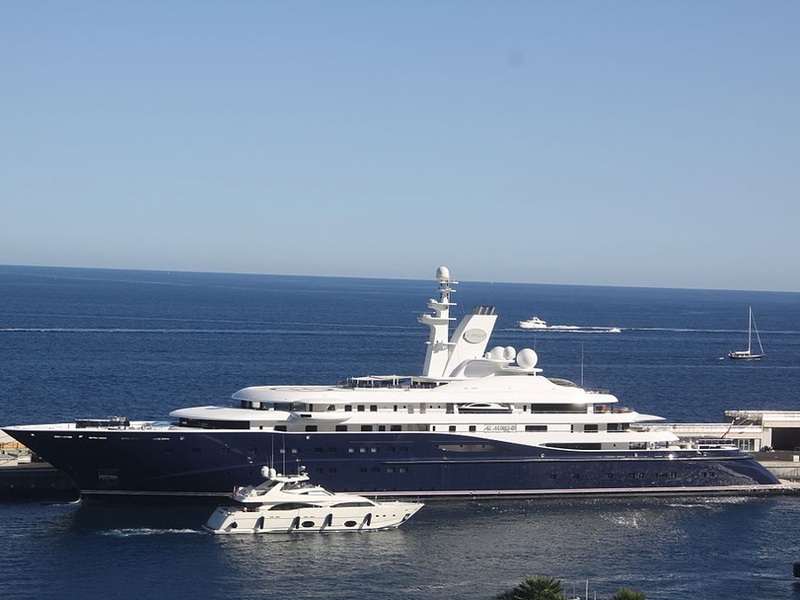 Russian tycoons, oil Sheikhs, and entertainment moguls are vacationing on yachts spanning over 200 feet that often cost over half a billion dollars, not to mention the maintenance costs of owning a superyacht. 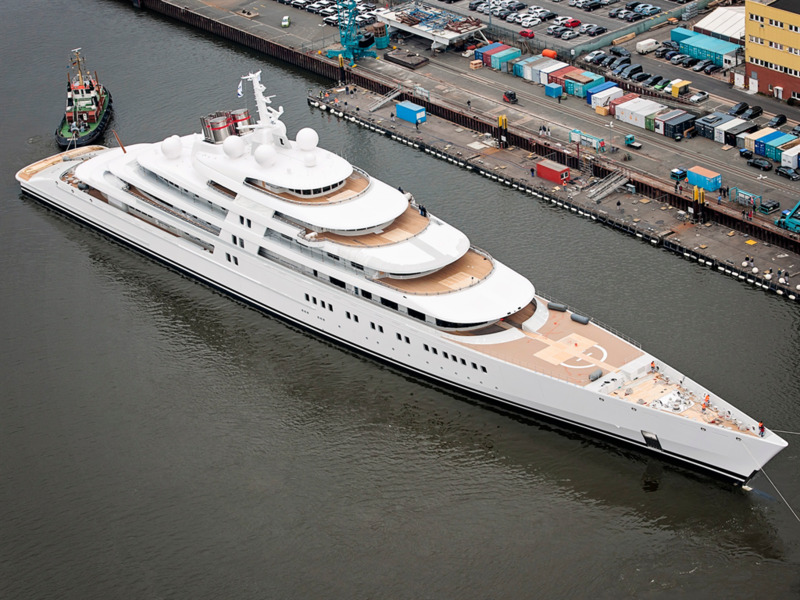 R2,3 billion: Microsoft co-founder Paul Allen owns this 126 meter yacht called the Octopus. It has 41 suites, a pool, two helicopters, a basketball court, and a recording studio. R2,3 billion: The Seven Seas yacht has a movie theater, infinity pool, gym and helipad. Reportedly, it once belonged to Stephen Spielberg. R2,51 billion: Billionaire Nassar Al-Rashid owns this yacht embellished with 24-karat gold lettering. R2,99 billion: Qatar's former Prime Minister, Hamad bin Jassim bin Jaber Al Thani, owns the R2,99 billion ($250 million) Al Mirqab. It has a movie theater, outdoor bar, indoor swimming pool, jacuzzi, and helipad. 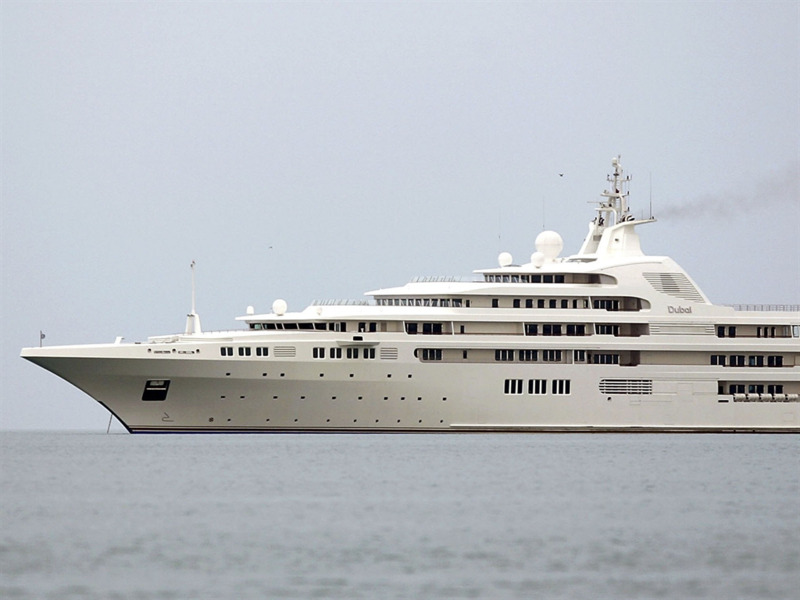 R3 billion: The Dilbar is owned by Russian billionaire Alisher Usmanov. With more than 3,800 square meters of living space, the Dilbar makes for a comfortable way to travel. It also has two helipads and an indoor swimming pool. 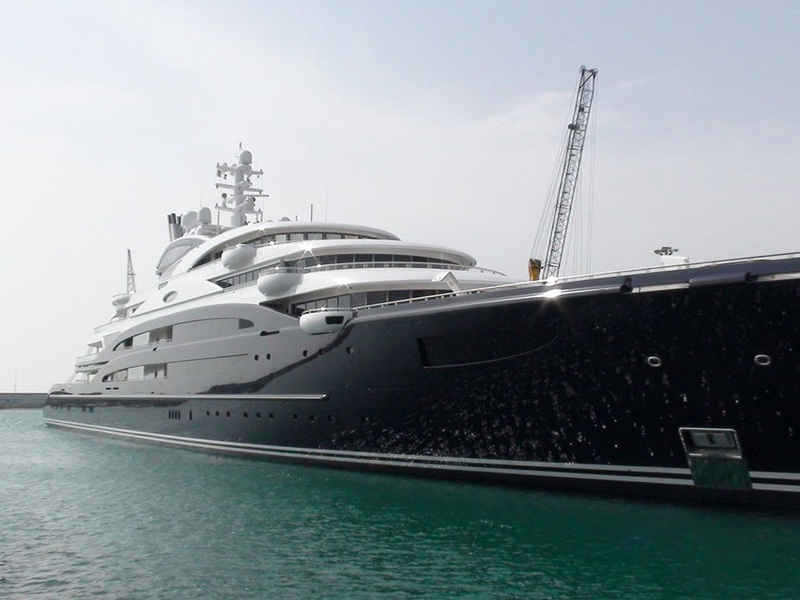 R4,79 billion: Sheikh Mohammed bin Rashid Al Maktoum, the Vice President and Prime Minister of the United Arab Emirates, owns the massive Dubai yacht, which costs an estimated R4,79 billion ($400 million). It has a mosaic swimming pool, circular staircase, and helipad. 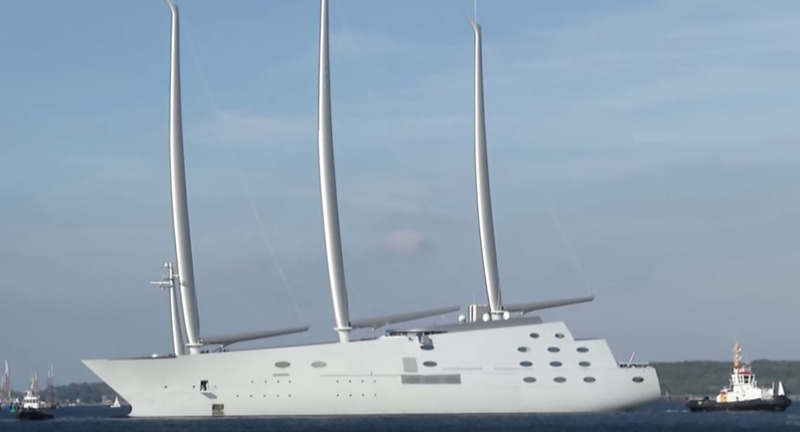 R5,27 billion: Andrey Melnichenko also owns Sailing Yacht A, which resembles a military-style submarine. It has three swimming pools, including one with a glass floor. 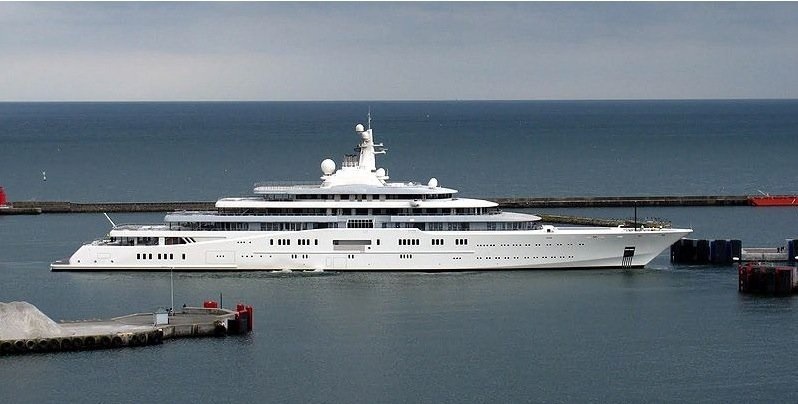 R6,7 billion: Mohammed bin Salman, the deputy crown prince of Saudi Arabia, owns this 134-foot yacht dubbed the Serene. It has 15 rooms, a club, multiple swimming pools, a spa, a gym, and two hot tubs. 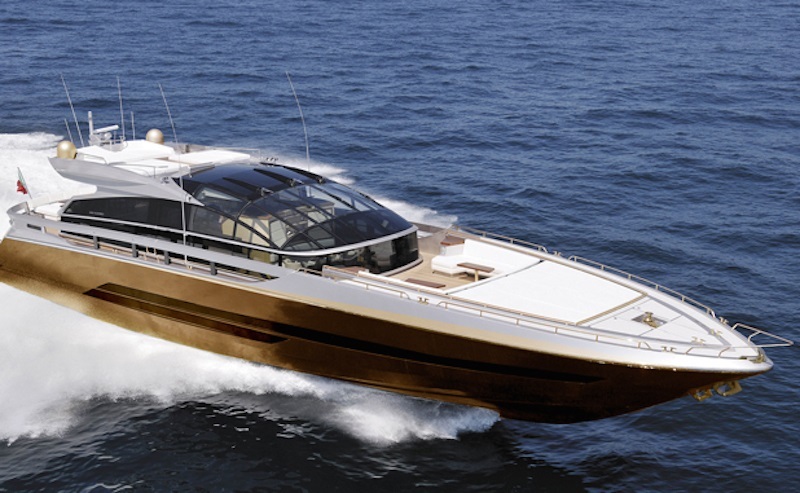 R57,5 billion: The History Supreme is made from solid gold and is the most expensive yacht in the world. It reportedly sold to a Malaysian businessman in 2011. 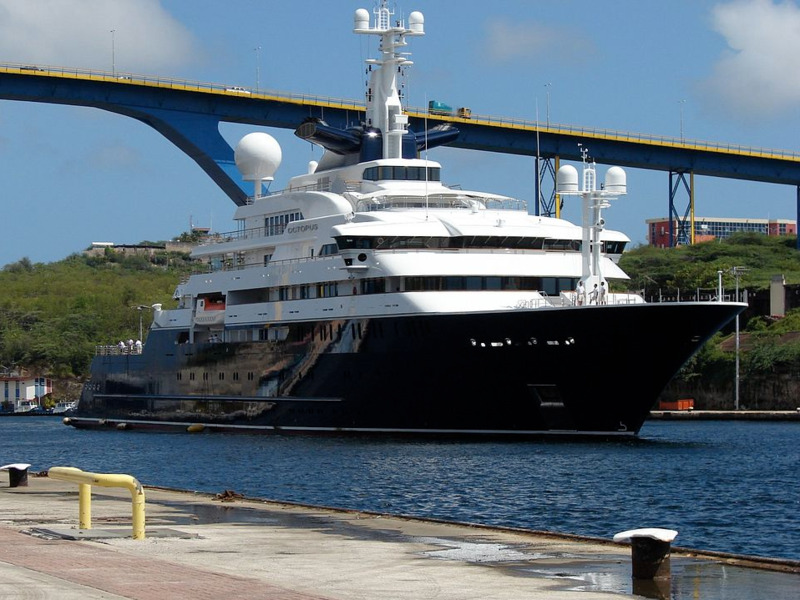 Russian billionaire Roman Abramovitch's yacht, "Eclipse"